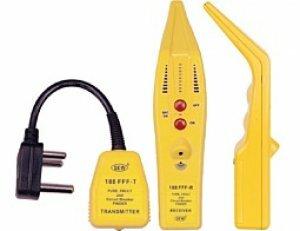 parts : The Receiver and the Transmitter. by the mains and requires no batteries. Breaker or the faulty circuit. to about 10kHz. The sensor is located in the tip of the Receiver. ● The more Leds ON, the stronger the signal. ● The Receiver uses one 9V battery.